By Peter McKenna | May 3, 2017. The Liberty Training Centre (LTC), which is celebrating its 30th year on Oliver Bond Street, provides help to some of the disadvantaged youth in the area to achieve a brighter future. The LTC offers training in a variety of courses, such as pre-apprentice engineering and woodwork while other courses include IT and computer skills, catering, and sports with fitness. Founded in 1986 the centre is funded by the City of Dublin and Education Board. With a staffing group of 10 and combined experience of over 100 years, the centre staff provide a refreshing and upbeat environment for young people who haven’t gained adequate qualifications during their education, and want to better themselves. “The LTC was set up to help those who went through the education system, but for one reason or another didn’t quite achieve the qualifications they had hoped for. We provide an option to come to us and work with us, and then to go on to further education or indeed to go on to employment. 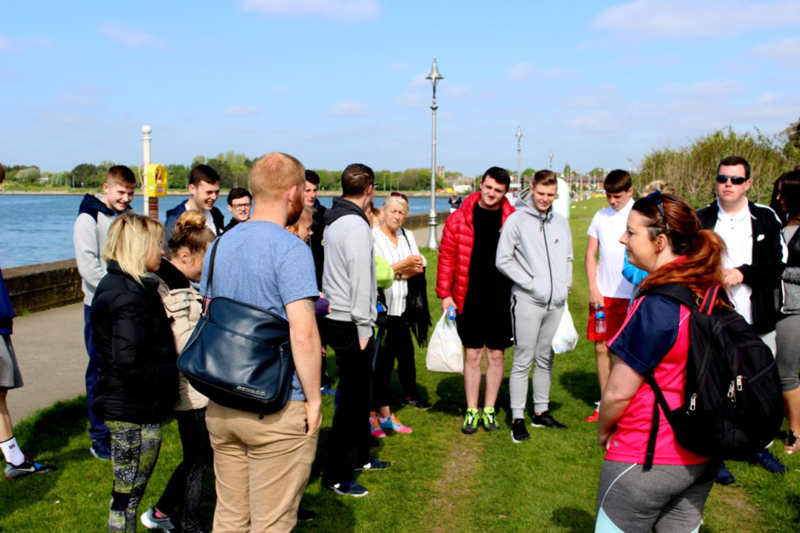 Essentially to give a second chance to those young people- giving them a fuller life and the ability to play a more active role in society” explained Joe Gallagher, head of management at the centre. Describing a typical day, Joe explains what type of activities students undergo. The community ties between the centre and the surrounding area remains unwavering. With the recent development of the Liberty training centre’s website and brand it is hoped that more and more young people will begin seeking further education options after passing through the education system, with the knowledge that there are people always willing to help. The admirable work done in the centre is integral to the communities core. Joe and the team for the area helping those in need.